Each state has its own statutory requirements for real estate deed forms. These requirements determine the content or text that is in the deed. The real estate deed form you use must meet statutory conditions for content and format. In addition, many counties add requirements for margins, paper size, property identification, and many other details. If a deed form is not in accordance with both the county and state standards, there may be additional fees charged for recording or the form may be rejected altogether. The right form matters. With real estate deeds, the little things can make a big difference. Deeds.com is meticulous about creating reliable and useful documents. All of our forms are available immediately after purchase. They are in Adobe PDF files and can be downloaded to your computer. They are fill-in-the blank on your computer so you can print them out completed. No need for fancy handwriting. 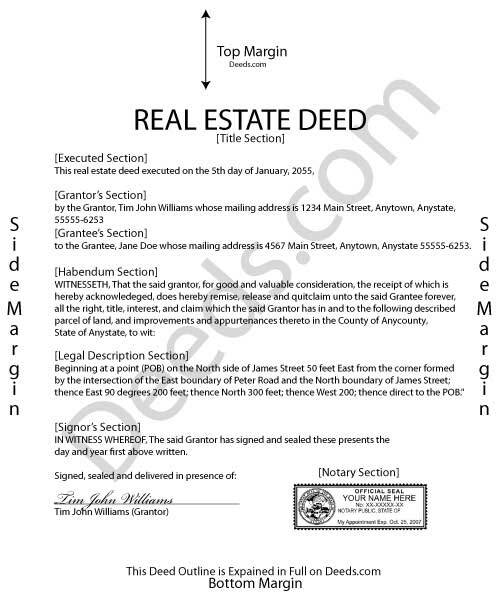 With the Affidavit of Deed form, grantors in a transaction can verify the date of the completed conveyance and protect themselves from future claims. 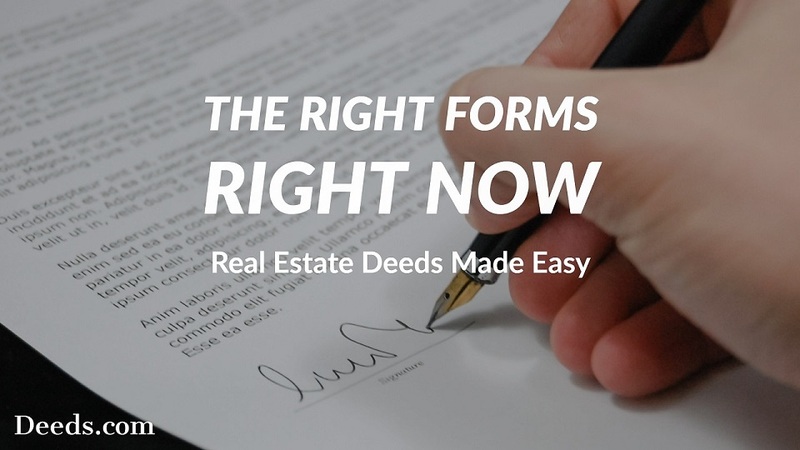 Additional forms that may be required when recording or executing real estate deeds.